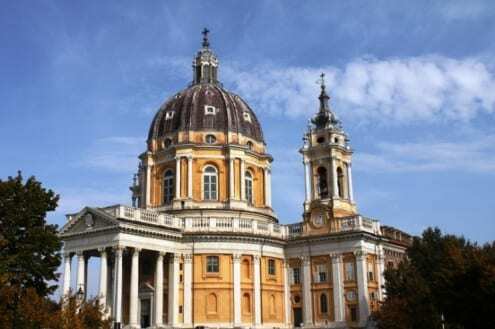 The city of Turin is located in the heart of the Piemonte region and it’s home to all things Italian: a historic city center, the first king of Italy’s exquisite palace, the countries first capital, some of the world’s best chocolate, and gelato giants such as Grom. 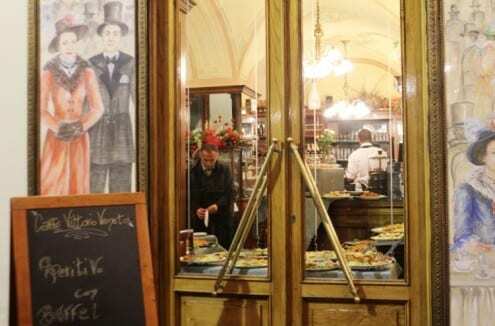 With a history like Turin’s one expects a harmony of mastery and tradition. 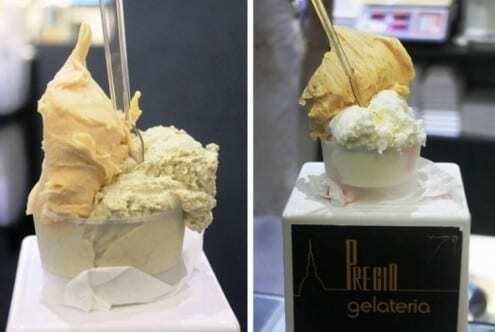 Apply that to gelato and one notices that nearly every parlor maintains the style of “Pozzetti” or “Carapine”, metallic containers that are used to better preserve the product and also prohibit it from being seen. 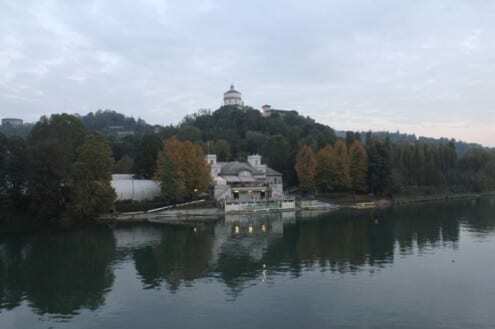 On my quest for the cities best, I glossed over most of the recommend places, both to find the newest, latest trends in the market, and because when I visited many these historical landmarks, they seemed more famous than good. 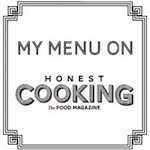 Listed below are the highlights of my journey. 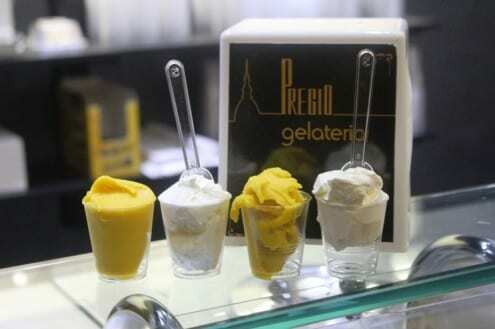 Four gelaterias, four experiences. In Italian, the word ‘pregio‘ means excellence. 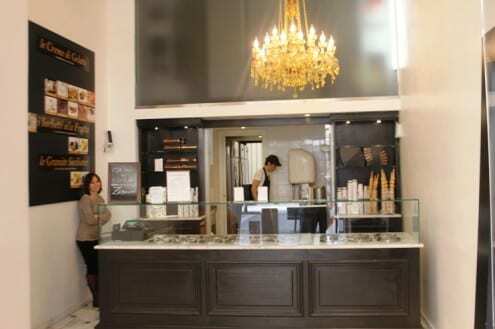 “It’s an ambitious name for a gelateria,” Silver, co founder and gelato maker, admits. “But to prove it, you have to try my whipped cream.” How can one decline such an offer? They just can’t. And I didn’t have the heart to tell him that, on every other occasion, I loath this fatty garnish. However, when I try one spoonful of Silvers magical creation I am reborn. Saying it’s the best I’ve had isn’t enough. This was other worldly. It was excellent, wondrous, objectively incredible. So good that I didn’t want to eat another gelato without it. Fortunately one can order a side of his legendary “panna” for a mere E 0.30. Savor it with a scoop of mango sorbet. Do not miss it. Along with producing a fantastic gelato (my favorites were mango, pistachio, soy bran & vanilla and peach & papaya), Silver and Co. have big plans. “You’re going to see me abroad,” he tells me with a confident smile. In fact, despite opening just two months ago, he’s one step ahead of the game. Equipped with what he calls a “perfected base mixture“, Silver has found what he thinks is an opportunity to revolutionize the typical gelato business. “We needed a way to export our product while still maintaining the quality and consistency.” They didn’t have to look far. One of their partners works in the import/export business. The result of their quest is three unique bases (one for chocolate, creams and fruits), each with a shelf life of six months equipped for world wide distribution. What’s their secret? Instead of pasteurizing the milk to the standard 80C, they heat it to 140C, killing all traces of bacteria to better preserve the product. Then, its mixed with the precise proportion of ingredients to complete the base (sugar, water, stabilizer, etc) and stored until needed. Once in the gelateria, the artisan puts the product in the machine and works with the variegations, fresh fruits and toppings. Only time will tell if the franchise model works, but the signs look promising: their gelato is great, their store is classy and they are extremely friendly. For a year and a half, Silver tested his product to perfect his recipe, making over 100 kilos of gelato a day. The result, Pregio. The only bad thing I can say about VasaVasa was that it was closed the second time I went. 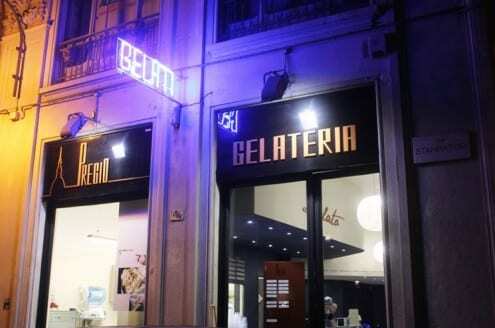 A Sicilian gelatiera (also with a couple of location in Milan and one in Paris) offers traditional flavors, a classic theme, and is home to one of the world’s best Cassatas. 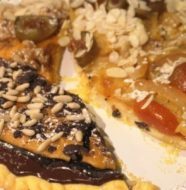 Made with ricotta, chocolate, candied oranges and honey, it has a rich cream base with an superb disparity of flavors. Topped with a scoop of mandorla (almond) granita, it’s even better. Visitors beware: they close for winter. A small stand located in the heart of the city center, I nearly dismissed it as a tourist trap. What a mistake. 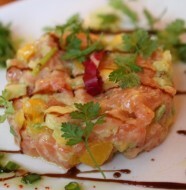 Serving a mere six flavors, they chose quality over quantity, but it’s a welcomed philosophy. Lait offers something few other gelaterias have: not only does it promise just the most local and fresh ingredients – they use milk of “Bianca Piemontese” cow from Cuneo valleys farms – but they use no artificial colorings are used, so their latte-mint, a rich whole milk made with real mint, is white instead of green. For unparalleled possibility of freshness, they serve their product directly out of the batch freezer. 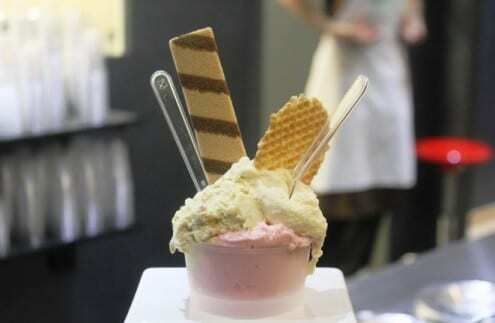 While a typical gelato, after exiting the machine gets put in a shock freezer (left to harden at -15C for 20 minutes), this gelato is consumed directly from the device it is made from. One flavor, one machine. 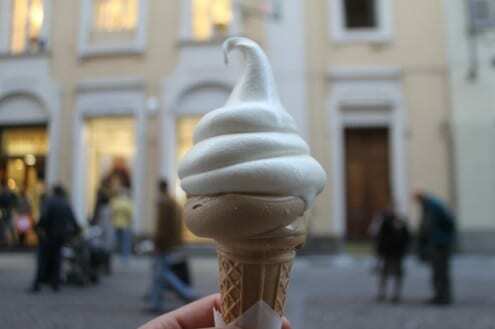 The result is the freshest, purest gelato on the market. The consistency is soft like yogurt, which means it melts immediately. Not to worry, it won’t last long. 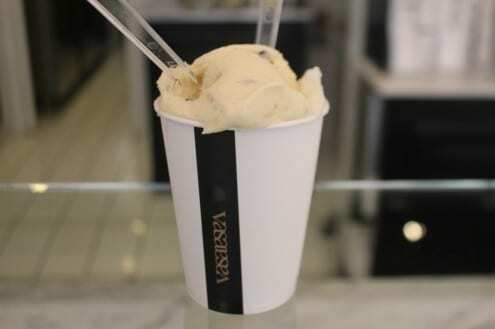 Aside from serving an outstanding gelato and being located right next to the King’s Palace, Vanilla offers a few things you won’t find elsewhere. 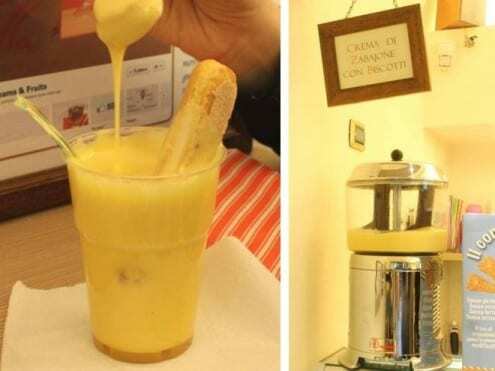 First, a hot zabaione cream spiked with your choice of rum or moscato. The combination of alcohol and eggnog are perfect for a cold winter day. Second, for those who can’t decide between their multitude of delicious gelatos, Vanilla offers a genius idea. For E 0.50, one can have a small scoop sandwiched between two crostitini’s (a crispy, flat cookie). Don’t miss their ‘Mele Cotte‘ (baked apple gelato)! 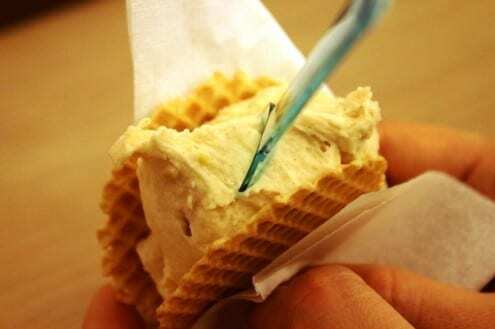 5 Comments on "A Gelato Tour in the First Capital of Italy"
Tony thanks a lot for the advice! 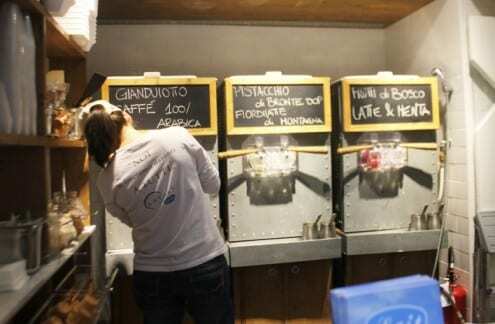 We’d love to taste the gelato in Naples…next time we’ll be in Italy we’ll try to check it out! valli gianpaolo? è un maestro?